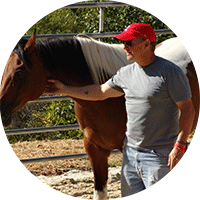 Our primary offering is a peer-to-peer program with our facilitators, horses and other vets who work as a team to accelerate the journey home to family and community. 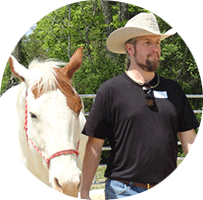 Our five-session curriculum is designed to introduce the principles of natural horsemanship as a way to help vets gain the trust, respect and willingness to collaborate from those with whom they live and work. We and our equine partners demonstrate the value of using finesse vs. force and cooperation vs. control. We also educate our veteran students with life-changing insight and information around managing their emotion(s). Our Emotional Agility presentation, based on the work of Karla McLaren, Linda Kohanov and our head instructor David Sonatore, LCSW, is approachable, engaging and incredibly useful. 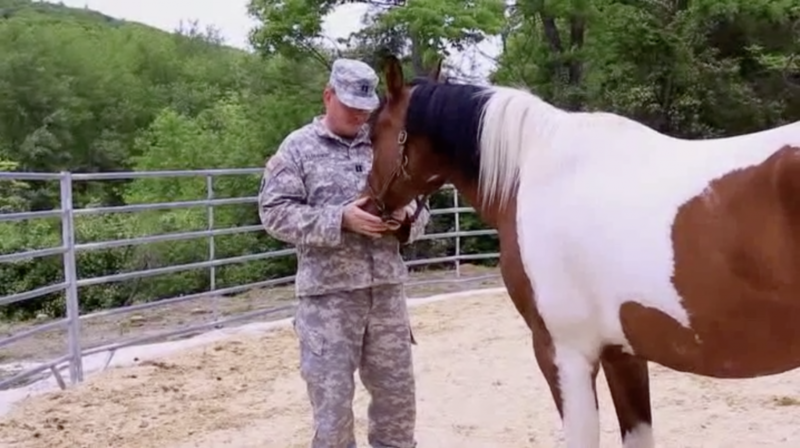 We believe that If veterans can learn to use emotions the way horses do – as information to help them stay alive, set healthy boundaries, support one another in times of need – there would be no need to stay stuck in the stories we often tell about what we might have done differently in the past or what may or may not happen in the future. We all have a lot to learn about being present to what’s happening right now from our horses – especially those who never had the time or tools available to unwind and renew their reserves of emotional and mental energy. The day Apache made a connection with me and chose to follow me on his own, demonstrated that he trusted me. 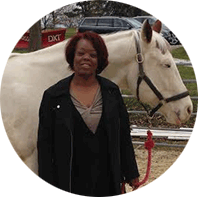 It helped me realize that I could trust myself…because if a horse chooses to disregard his own hypervigilance, and trusts, that means that I can do the same. Our veterans programs are a perfect fit for first responders. We believe that learning the art and skill of self regulation, understanding how to make distinctions among seemingly conflicting emotions and building the capacity to process ‘the day’ before coming home are all part of maintaining healthy relationships — and all part of ensuring top performance when police, firefighters or EMT’s need it most. 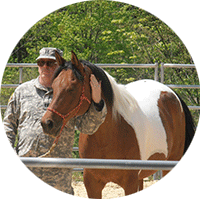 Once a veteran has completed enough sessions to understand the basic principles of non-verbal communication with our horses, he or she is eligible to earn a Level I Certificate in Natural Horsemanship and join our network of veterans liaisons. This aspect of our program is about serving others and helping new vets get acclimated to the farm and comfortable working with horses. Our aim is to build an authentic community where vets can BE better together…not just DO better on their own.